“They came from our secret base at Shangri-La,” replied President Franklin Delano Roosevelt when asked by reporters where the “land-based” bombers of Lt. Colonel “Jimmy” Doolittle’s raid had originated. 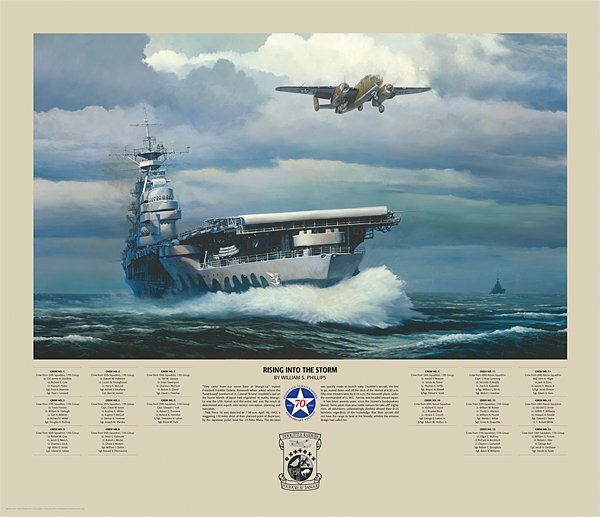 In reality, Shangri-La was the USS "Hornet" and the idea of launching B-25s from an aircraft carrier was the result of determined and superb inter-service conception, planning and execution. It is now 70 years since the USS "Hornet’s" loudspeakers blared, “Army pilots man your battle stations for take off!” Task Force 16 had been detected at 7:38 AM April 18, 1942, a staggering 170 miles short of their estimated point of departure, by the Japanese picket boat No. 23 Nitto Maru. The decision was quickly made to launch the attack early. Doolittle’s aircraft, the first to go, roared down and off the deck of the "Hornet" at 8:20 AM. Fifty-nine minutes later, by 9:19 AM, the sixteenth plane, under the commanded of Lt. W.G. Farrow, was headed towards Japan.